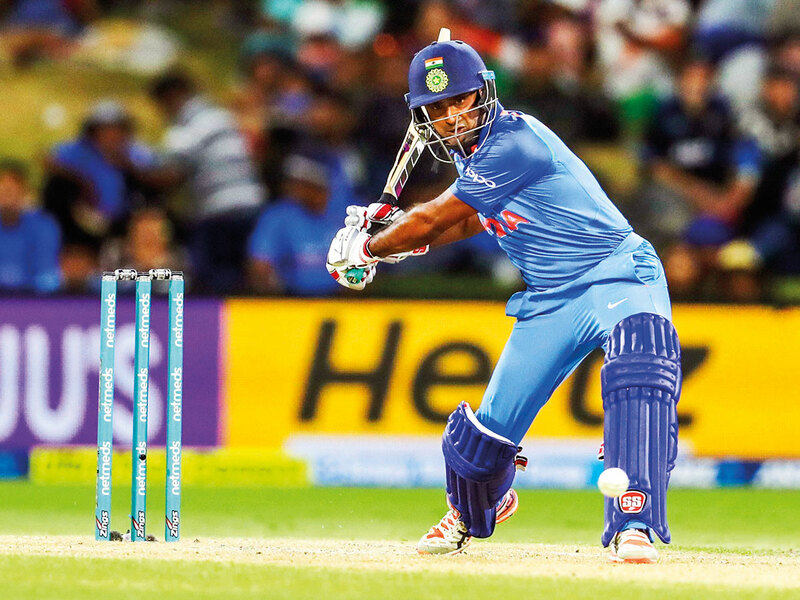 Wellington: Assistant coach Sanjay Bangar believes India’s batting collapse in the fourth ODI was an “aberration” and reposed faith on the middle-order, saying it has mostly delivered whenever put in a tough situation. India’s batting came to a cropper in the Hamilton game as they were dismissed for their seventh lowest total of 92. However, Bangar said it was a one-odd failure. “The middle order has rose to the occasion many times and delivered. Yes some situation has been trying but it is not that the middle order hasn’t performed,” Bangar told reporters ahead of the fifth ODI against New Zealand here Sunday. “When required, more often than not whenever it has been put in a situation, it has delivered, maybe the last game was an aberration,” he added. Bangar explained his point by giving an example of games — Cuttack (India vs England, Jan 2017), Indore (India vs SA, Oct 2015) and MCG final (India vs Australia, Jan 2019) — where the middle order contributed to winning matches. “ ... if they (top order batsmen) are batting well then the middle order doesn’t get the opportunity required to maintain the groove,” the former India all-rounder said. India’s batting unit, without skipper Virat Kohli and Mahendra Singh Dhoni, didn’t have any answers to Trent Boult’s devastating spell but Bangar said such games actually help them reflect on what they can do better. “It was a one-off game for us. We know we played well below our potential and our expected levels, the boys realise it and we just need to put that game behind and look to the next game,” he said. “It gives us an opportunity to reflect in case if we miss out players due to fitness issues. World Cup will be a long tournament, there will be injuries and players are going to miss out and it gives us a reflection as to how players will cope up in their absence and we were found wanting in that situation in the last game. Bangar said the team management is trying to rotate the players to give everyone some game time. “We are trying to balance out opportunities, trying to keep them hot and give them enough game time. This is a conscious effort specially in Australia and here where we have rotated our players,” he said. India will take on New Zealand in a three-game T20I series after the ODIs, beginning Wednesday.